An armoire desk is a writing table that is typically attached to a large cabinet. The height of the writing table is traditionally around 1-2 meters. Meanwhile, the desk is designed so that it is placed right next to a wall. It is often confused with a secretary desk; however, the two are completely different pieces of furniture with a unique design and purpose. Desk armoire is created specifically to be used in an office or workplace setting. This explains why it has also earned the nickname “computer armoire desk” as it has enough space to house the computer along with its peripherals. Over the years though, as the need of businesses and corporate offices have changed, the desk armoire was shunned in the professional setting. Businesses have preferred the use of cubicles and pedestal desks both for their space-saving and ergonomic design. As a result, the production of armoire desk has significantly reduced and most of the ones you find in the market are vintage. As there are not many new armoire desks that had been manufactured recently, it is important that you examine closely before you buy one. The rarity of the piece of furniture could mean that they could be more expensive than ones that are mass-produced. As you would expect in antique furniture, you must know what to look for before you can make that purchase. As with any antique furniture, you can find vintage desk armoire to be quite expensive. Several factors could come into play when determining just how much the antique desk costs in the market. Dating the armoire desk is number one on this list. 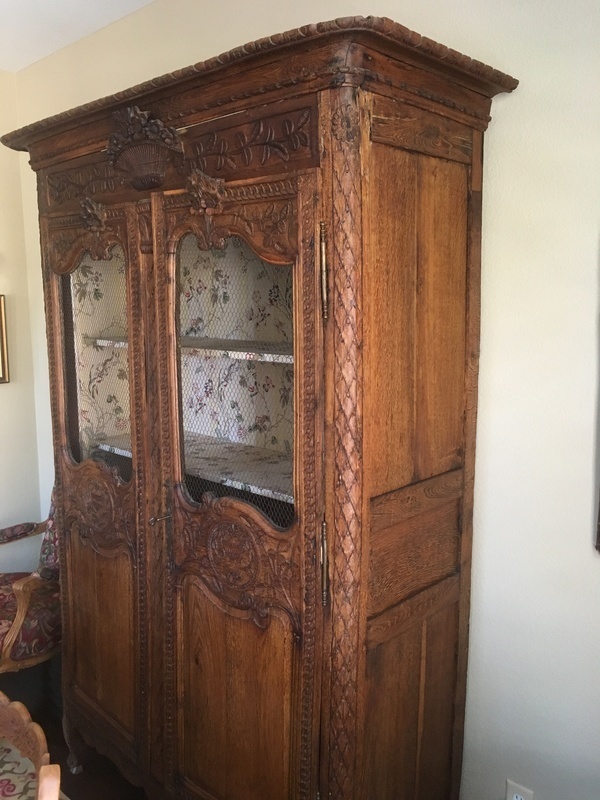 The older the armoire desk is, the higher the possibility of it being valued higher by an appraiser. When dating an antique desk, you must look at the joinery. In case the wood is machine cut, it is a good indicator that the desk was created after 1860. You can also check the finish of the desk. Before the mid-19th century, shellac was the only substance used for a clear surface finish on wood. Meanwhile, lacquer and varnishes only made its way to the market around the mid-period of the Victorian era. One last tip to consider is the type of wood. Oak was the wood material of choice for furniture that was constructed before the 1700s. If the wood is walnut or mahogany, there is a huge possibility that the furniture was built a little later than the 1700s. Another good indicator of the value of antique desk armoire is the level of craftsmanship on display. The genuine antique desks feature handmade details such as parquetry, inlays, gilding, and marquetry. This is one way you can ensure that the furniture is antique. Otherwise, it would be missing most of these unique features or maybe not as elaborate with the details. The rarity of antique desk armoire can have a huge impact on its value in the market. Since most of the antique desks were hand-crafted, they were only available in the market at a limited supply. Thus, you can expect any surviving piece of furniture to be more expensive than the ones that are mass-produced. If you can find out the provenance of particular antique furniture that you have, this can also directly affect the value. Depending on the provenance, the worth of the furniture can significantly double (or more!) upon appraisal.